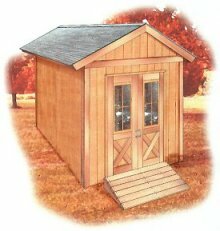 Free woodworking plans for sheds and other outdoor building plans. 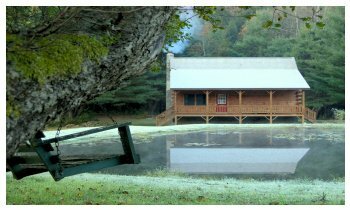 Build the cabin of your dreams with free cabin plans. Playhouse plans are the perfect way to give your kids their own space. 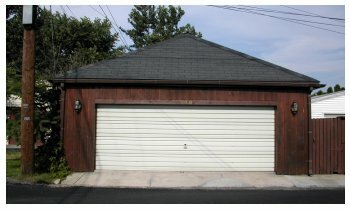 Build a one or two car garage with free garage plans. Free shed plans and pay plans for sheds - also plans for garages, greenhouses, workshops, garden sheds, barns, cabins, chicken coops, playhouses, potting sheds, storage sheds, houses and carports. If it is erected outdoors, you will find plans for it here. Use the Free Shed Plans menu at the top to access all the free plans. Solve your storage problems! 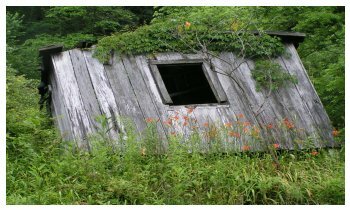 Sheds are great storage places for sporting goods and equipment, gardening tools or firewood. Store almost anything and everything from your backyard and garden in a storage shed. Fit both your needs and budget with one of theses free storage shed plans. Give the kids a place of their own with a backyard playhouse. 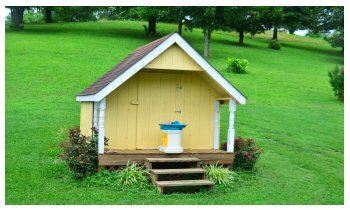 A shed adapted to look like a little house can be changed to a storage shed after your little ones outgrow it. Choose from a variety of shapes and sizes with these playhouse plans. A potting shed can not only store gardening equipment, but built-in shelves and counter space allows for potting and tending to plants with all your supplies close at hand. Check out these free potting shed plans. A small greenhouse erected in your backyard will provide vegetables and flowers even in the winter months. Use a shed-type building with large windows or a regular greenhouse. Choose from these free greenhouse plans. Build a separate workshop in your backyard with a spacious inside. Add tool holders, a workbench, storage shelves, good lighting and voila! instant workshop! Build a great workshop for those weekend projects with one of these workshop plans. A new garage can provide the added space you need for your car. Build a one car or two car garage with free garage plans or pay plans. Also plans for carports.